If you’re doing any amount of traveling in the Colorado Plateau, you’re going to be near some Native American ruins and rock art. 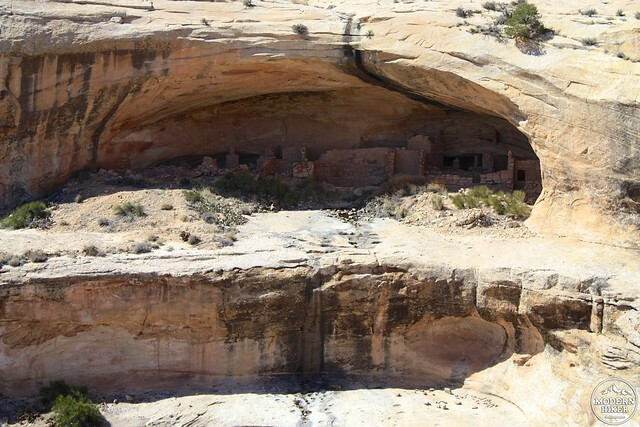 The area was home to the Ancestral Puebloans – sometimes still referred to as the Anasazi even though that’s a Navajo word for “ancestors of our enemies” and has fallen out of favor in recent years. Loosely centered near the modern Four Corners region, the Puebloans are probably best known for their cliff dwellings, which were often only accessible by ladder or by climbing steep rock faces, although they also have a distinct and beautiful aesthetic style that shows up in their pottery, petroglyphs, and pictographs. No matter where you are in this corner of the globe, odds are you’re not far from a historic site. In the scheme of protected Pueblo sites, the Butler Wash Ruins are fairly small when compared to nearby Chaco Canyon and Mesa Verde, or even the more distant but still related ruins at Canyon de Chelly, Walnut Canyon, or Wupatki – but their isolated location and low-key nature means you also won’t have to fight crowds for good photos … and it’s on the way to or from Natural Bridges National Monument and an easy addition to your trip. 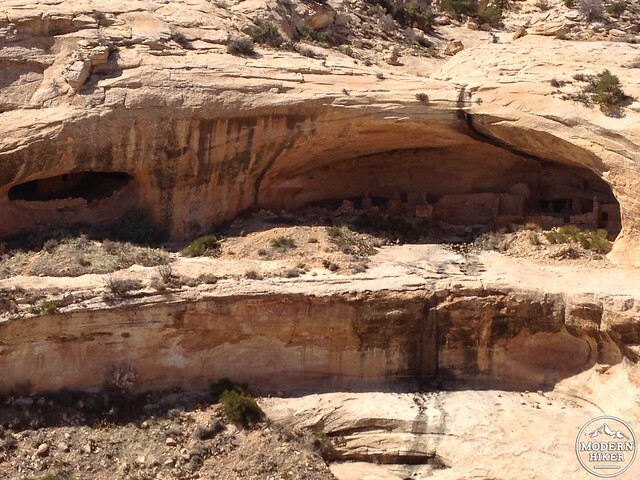 The Butler Wash Ruins are on BLM land just off Utah 95. On the north side of the road you’ll find a surprisingly large parking area with a restroom (but no running water). 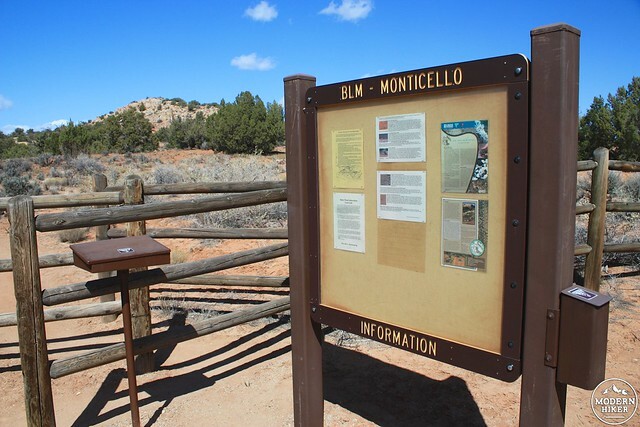 Near the small informational kiosk, pass through the gate in the wooden fence to begin your hike. 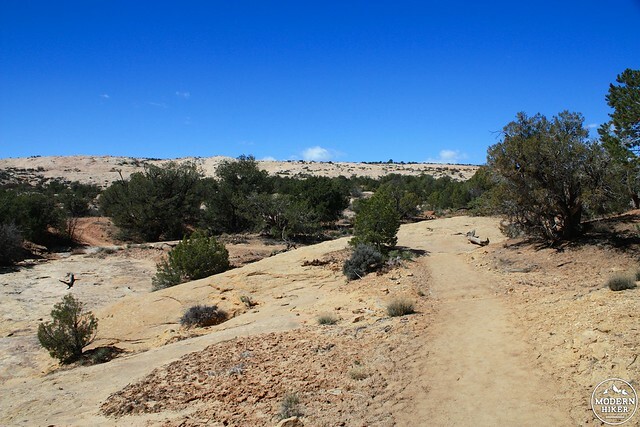 The trail is a fairly simple affair – just a quick half mile across a well-worn, mostly slick-rock trail that crosses one small wash then climbs up to a viewpoint of the ruins on the side of a cliff with guard rails and a few informational plaques. From the viewpoint, you’ll have an excellent view of the Ruins themselves. Although some structures have been rebuilt and reinforced, most remains exactly as it was found in the 1800s – some four hundred years after they were first built. 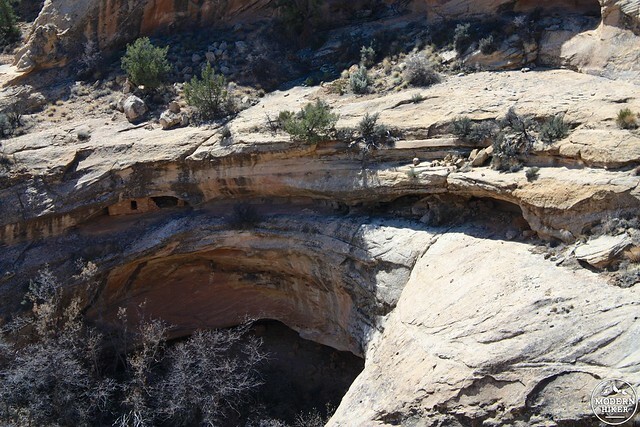 There are some dwellings, food storage, and four ceremonial kiva structures that still stand here. The ruins are best viewed in the morning sun, and it helps to bring a pair of binoculars along if you want to get a closer view. Alternatively, it is possible to reach the ruins with some rock climbing experience – but remember not to touch any of the ruins and DEFINITELY don’t take anything from them. If you’re not up for rock climbing but would still like to do a bit more work on this trail, head about 100 yards north on the ridge from the viewpoint for a view of a small natural bridge that sits inside the wash canyon. Primitive but decent. 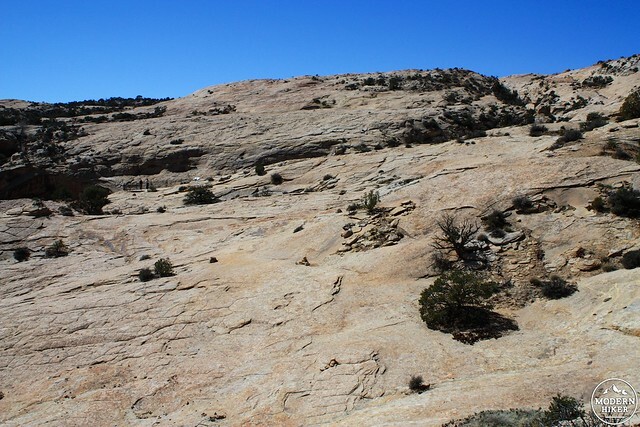 This is a short, relatively easy slickrock trail marked by cairns and a few guard rails. 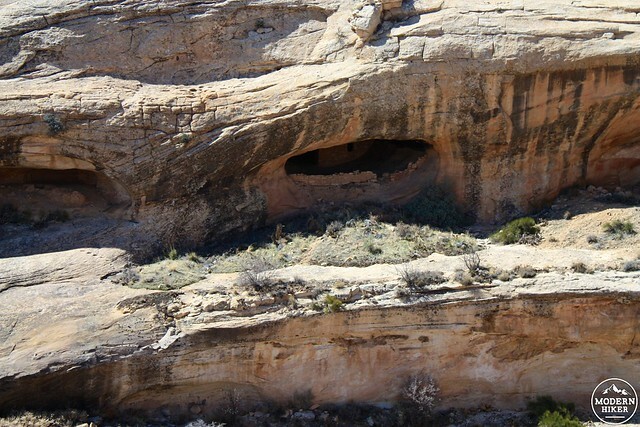 The signed turn-off for the Butler Wash Ruins is 10.5 miles west of the junction of US-191 and UT-95 or 19.6 miles east of the junction of UT-95 and UT-275. There's a large paved parking area on the north side of the road.